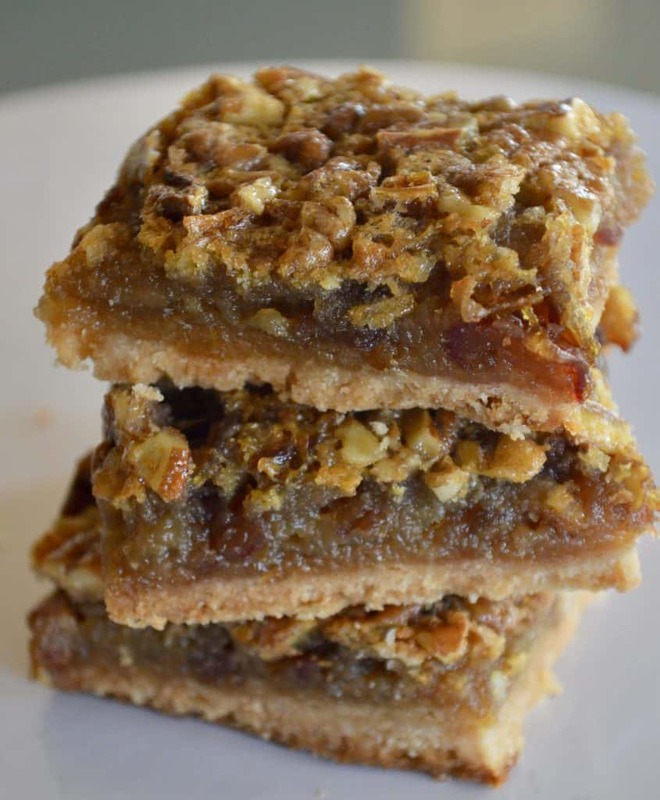 Pecan Pie Date Bars – Lightened Up! 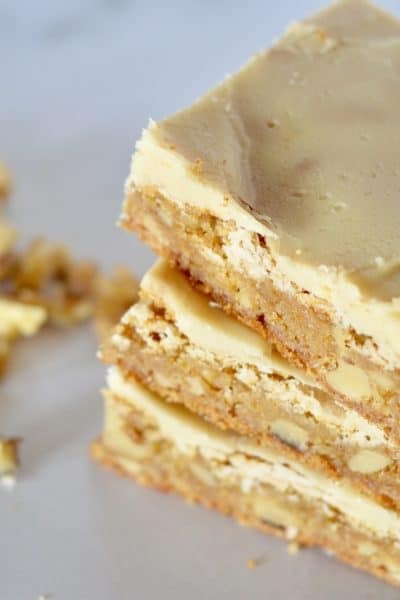 Sweet and delicious Pecan Pie Date Bars will have you hooked from the first bite. 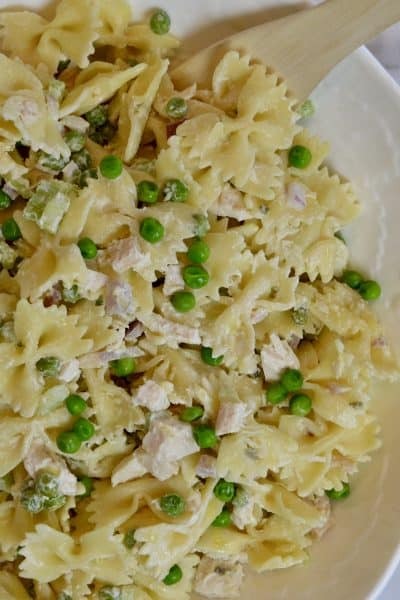 Easy to make recipe that’s totally goof proof. 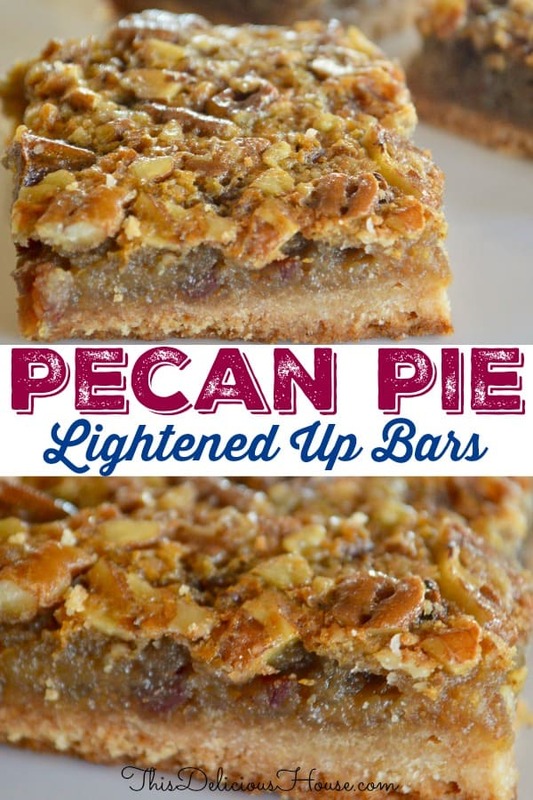 Don’t miss this lightened up version of Pecan Pie in bar form! 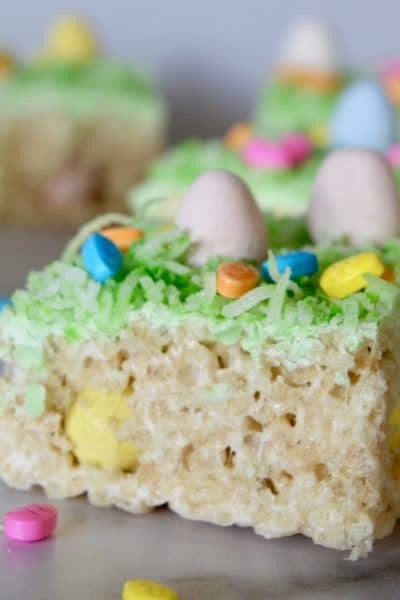 One of my favorite things to do is take traditional treats and make them easy to eat and fun to bake. Putting things in “bar form” seems to be a big hit with both my readers, and my friends and family. 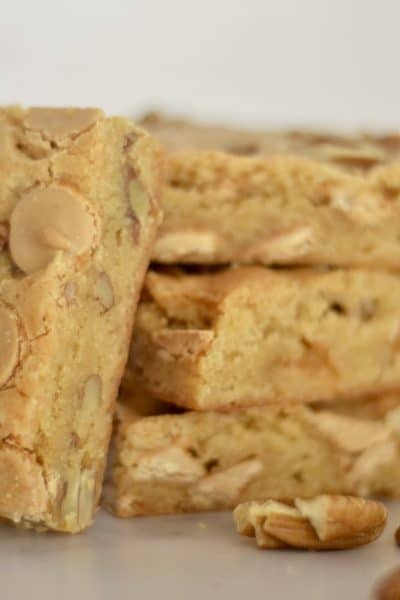 Whether these delicious Pumpkin Pie Bars or Large Batch Cookie Bars, it seems that the simpler the better when it comes to dessert recipes for a crowd. 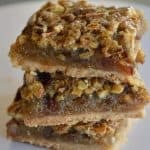 Pecan Pie Date Bars are something I love to serve around the holidays. I always leave the actual Pecan Pie making to my mother, who has perfected the recipe. But these little bars rank up there with her pie! The sweet dates add a chewy texture and help cut down on the amount of sugar that is needed to make the recipe. The wonderful thing about these bars are their guilt-free factor as compared to traditional pecan pie. The combination of sweetness from the dates and maple syrup means that you can use a lot less sugar than you do with traditional pecan pie. 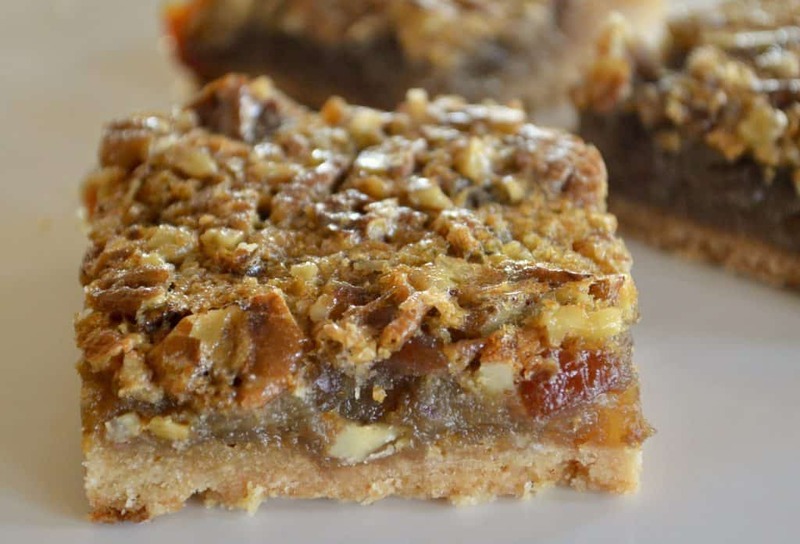 Moreover, Pecan Pie Date Bars give you that much-needed pecan pie fix, without the huge slice and overly sweet flavor. These smaller versions fulfill that pecan pie craving with much less calories and fat. Use parchment paper, or nonstick foil, to line your baking pan, then coat with nonstick cooking spray. Note that you pre-bake the crust at a higher temperature. You also need time to let the crust cool slightly before adding the filling. To make the crust you need a pastry cutter to cut the butter into the flour. If you don’t have one you can cut the butter using two knives or pulse the crust in a food processor. If you can find pitted dates, that’ll save you time in the prep work. Like a chocolatey pecan pie bar? Add in 1/4 cup of mini chocolate chips to the filling. Bake until set, about 30-35 minutes. Let bars cool in the pan on a wire rack for at least an hour before removing them. Cool bars completely, refrigeration preferred, before cutting them. Make up to two days in advance and store in an airtight container in the refigerator. Or freeze in an airtight container for up to a month. All the flavors of Pecan Pie with less work and calories! Delicious and easy to make. Preheat oven to 400 degrees. 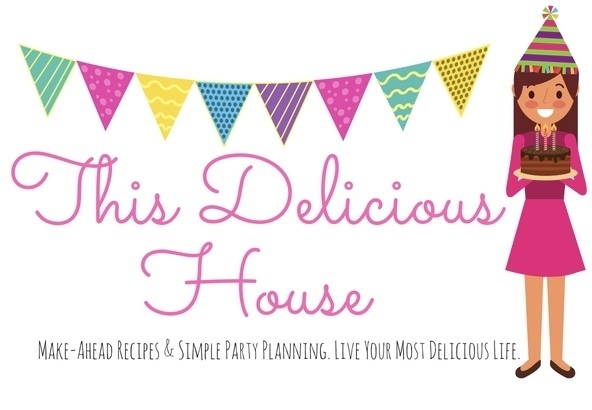 Line a 9 x 9 baking pan with parchment paper or foil and coat with nonstick cooking spray. Set aside. To make the crust, in a bowl whisk together the flour, sugar, and salt. Add in the cubed cold butter and cut it into the dry ingredients using a pastry blender. (Alternately, you could pulse this in the food processor.) 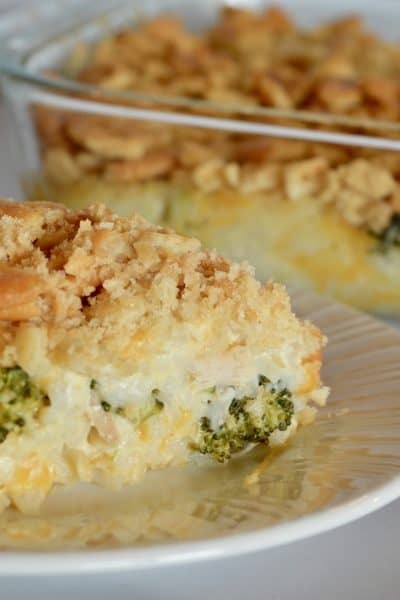 Press the crust into the prepared baking pan and bake for 10-12 minutes, until lightly browned. Set aside to cool. Reduce oven temperature to 350 degrees. Prepare the filling for the bars. Whisk together the corn syrup, maple syrup, brown sugar, eggs, flour, bourbon, vanilla, and salt in a large bowl. Stir in the chopped dates and pecans. Pour mixture over prepared crust and bake for 30 to 35 minutes or until set. Cool in pan for an hour before removing. Chill completely in the fridge before cutting. 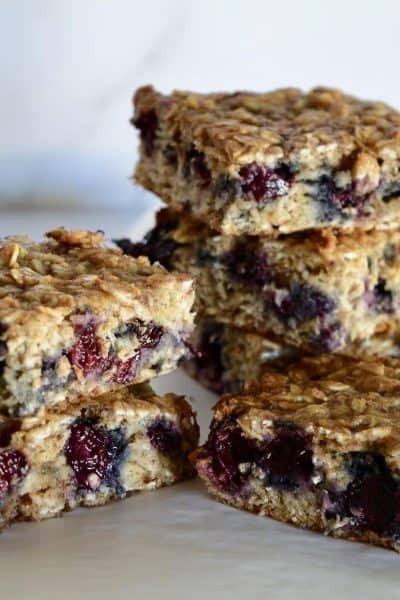 Make ahead tip: You can prepare and refrigerate these bars up to 2 days in advance. Freeze in an airtight container for up to a month.